Restore Ubin Mangroves (R.U.M.) Initiative: Exciting next step for R.U.M.! Exciting next step for R.U.M.! 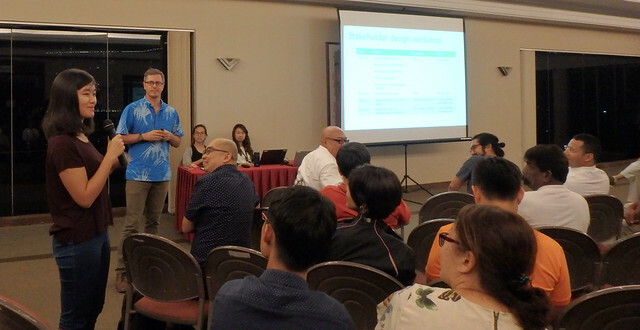 Prof Dan Friess formally presented the results of mangrove mapping during the Friends of Ubin Network meeting earlier this month. This culminates months of hard work by the mapping team! R.U.M. now looks forward to the exciting next step of designing the restoration. The design will be based on what the community wants to see and do in the restored mangroves. We welcome Tessa on board as the R.U.M. intern to gather this feedback from everyone! She will be creating more opportunities for YOU to contribute your ideas too. Look out for announcements in this blog. It is of paramount importance for us to listen and take into account the Ubin residents' memories and wishes for the mangrove restoration. Such as those of Kakak Kamariah and her son. R.U.M. wants to restore the mangroves not only ecologically and biologically, but also socially and culturally. So everyone can enjoy and benefit from the restored mangroves. 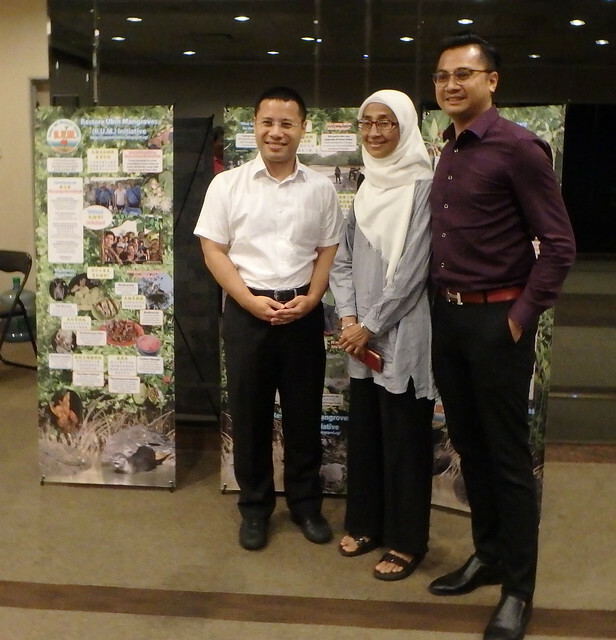 We are grateful for the support and guidance of Minister Desmond Lee and the team from Ubin NParks. As well as valuable insights from Ubin experts such as Dr Vivienne Wee from the Singapore Heritage Society, and many many more. Prof Dan also shared a recent scientific article he wrote on the history of mangrove restoration in Singapore and future opportunities. These future opportunities include community-based Ecological Mangrove Restoration (EMR), just like the R.U.M. project. In the paper, he kindly featured the R.U.M. poster in three languages! The paper is available for download from the R.U.M. facebook group. Meanwhile, the awesome Sea Angels continue to offer free monthly walks at Pulau Ubin, to share about mangroves and the efforts by R.U.M. to restore them. Phillip Lim together with Sea Angel volunteers SJ, Victor and Andrew, find fascinating creatures and share stories that we can't find in books! 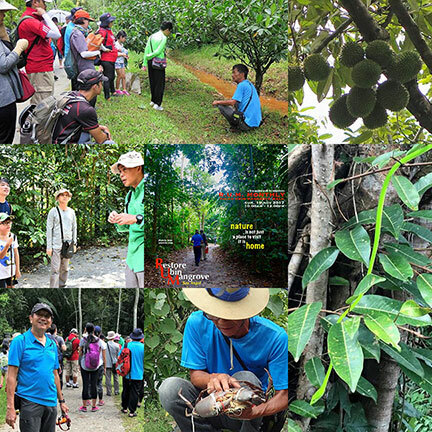 They saw a snake, wild boar and DURIANS! And of course lots of mangroves. Unfortunately, the November clean up had to be aborted due to the weather. The volunteers had already gathered on Pulau Ubin and were disappointed to miss the chance to clean up the mangroves. But they will return again soon! Updates on the next walk and clean up will be posted on this blog and on our facebook group.